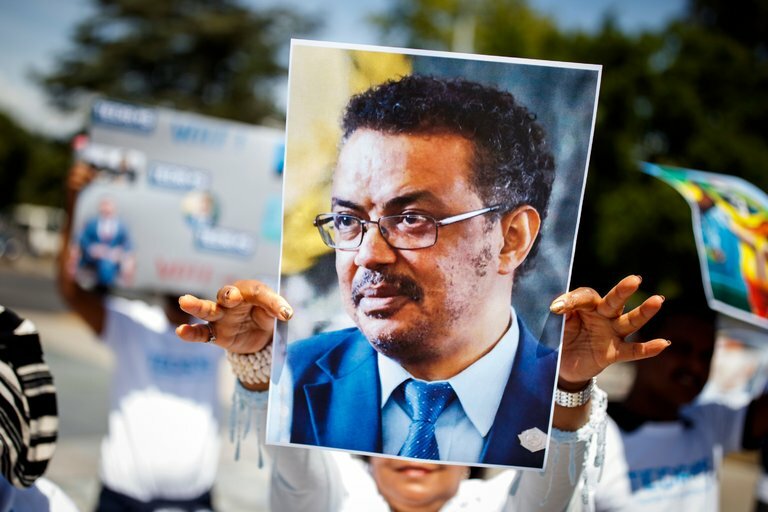 In the first election conducted under new, more open and democratic rules, Tedros Adhanom Gheybreysus of Ethiopia was elected director general of the World Health Organization on Tuesday. After nearly two years of public campaigning, originally by six candidates, the election itself took place in a closed-door session in which the health ministers of 185 of the world’s countries cast their ballots in secret. He promised to pursue health insurance in even the poorest nations. Dr. Nabarro, 67, was best-known for leading the campaigns of various United Nations agencies against avian and swine flu, Ebola, malaria, hunger and other crises. The race began in 2015 and turned bitter at the very end, when an adviser to Dr. Nabarro accused Dr. Tedros of having covered up repeated outbreaks of cholera in his home country, which lowered the chances of an international response and, more recently, the use of cholera vaccine. Dr. Tedros was also accused of complicity in his country’s dismal human rights record, which includes massacring protesters and jailing and torturing journalists and political opponents. Dozens of Ethiopians opposed to his candidacy demonstrated outside the Palace of Nations in Geneva, where the vote took place, and one individual who interrupted the proceedings was escorted out. Dr. Tedros is from the Tigray tribe, which holds a disproportionate amount of political power in Ethiopia; many protesters are from the Amhara and Oromo tribes. Although the W.H.O. post is the highest health-related job in the world — one in which bold leadership can turn the tide of epidemics — the organization itself is in peril. It is seriously underfinanced; dues from member countries make up less than third of its $2.2 billion budget. The rest comes from large donors, including the United States, Britain, the Bill & Melinda Gates Foundation, Rotary International and Norway. Some of that money comes with strings attached, directing the organization to pursue specific projects, such as polio eradication.